Any Peppa Pig fans out there? 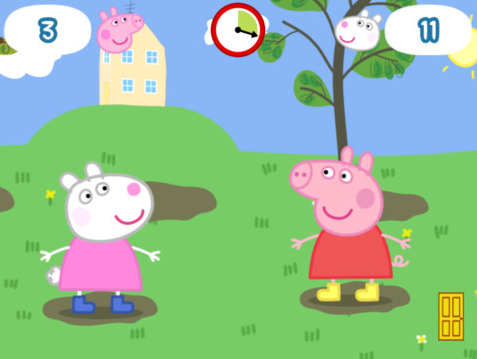 If so, you definitely have to check out this new app – Peppa Pig – Happy Mrs Chicken. It’s $2.99 and available on iTunes; it released this month. It’s a cute little app with sharp, engaging images for the tablet savvy and smart phone using preschooler. My Kindergartener has been testing out this app and having tons of fun with it. You can see here that he drew a crowd at his brother’s basketball game last week. 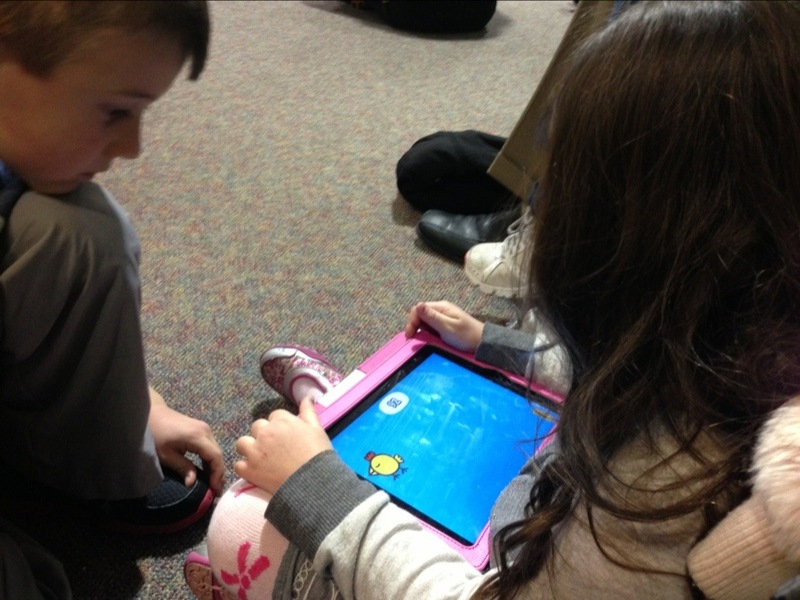 Here he is with another friend’s daughter – they were playing all five interactive games that are available on this app! There are matching games, mazes and puzzles – this one is a great one for hand-eye coordination and independent play. All of the Peppa Pig beloved characters make appearances in this game including George, Mummy Pig, Daddy Pig, Suzy Sheep & Rebecca Rabbit. You can get it Peppa Pig – Happy Mrs. Chicken on iTunes for the iPhone or iPad and it’s available in the Android store for Android users too! It’s $2.99 for the iPad app.